(Phys.org) —The SD Association this week announced a new high-performance option and symbol in support of 4K2K television and video products. A new Ultra High Speed (UHS) Speed Class 3 (U3) symbol will indicate products capable of recording 4K2K video and will operate exclusively on SDXC UHS-I and UHS-II memory cards and devices and SDHC UHS-I and UHS-II memory cards and devices. According to the association, "The UHS Speed Class 3 defines a sizzling fast 30 Megabytes per second constant minimum write speed to ensure high-quality video recordings. This means 4K2K video, live broadcasts and content can be recorded on high-performance cameras such as Digital Single Lens Reflex (D-SLR), Digital Single Lens Mirrorless (DSLM), camcorders and video cameras and then played back smoothly." The announcement noted that consumers will benefit from a single card capable of meeting all their video, photo, music, document and data storage needs. "The world's favorite SD memory card continues to evolve and meet shifting industry needs," said Brian Kumagai, president of the SD Association. "Our new UHS Speed Class 3 standard will give consumers and businesses more flexibility and capability as the market shifts to 4K2K video formats. Both SDXC and SDHC memory card standards already offer the massive storage needed to support 4K2K video with enough room to store photos, music, documents and other data on a single portable card." New devices offering the UHS Speed Class 3 will be backwards compatible and will work with existing SD memory cards. UHS Speed Class symbols are found on SDXC and SDHC products with either UHS- I or UHS-II symbols. The U1 denotes a 10 Megabytes per second minimum write speed, and U3 denotes 30 Megabytes per second minimum write speed. 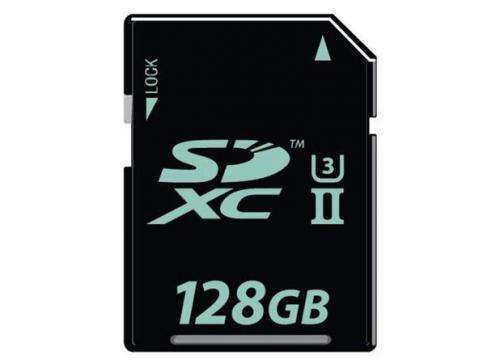 Users will achieve optimum video recording performance by pairing their devices with the appropriate SDXC or SDHC memory cards with the same marks. The SD Association is a global ecosystem of over 1,000 technology companies charged with setting interoperable SD standards. The SD standard is used across multiple market segments of the portable storage industry, including mobile phones, digital cameras, MP3 players, personal computers, tablets, printers, car navigation systems, electronic books, and other devices under the consumer electronics umbrella. The Association does not manufacture or sell any product; it exists to create standards. Panasonic, SanDisk Corporation and Toshiba Corporation established the SD Association in January 2000.